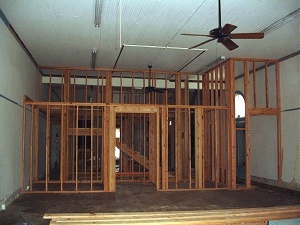 Renovation and restoration of 1907 historic building into pub & office/studio space. We restored the 1907 Historic Building at 89 Hillsboro Street in Pittsboro, NC to bring building up to code and make it structurally sound. 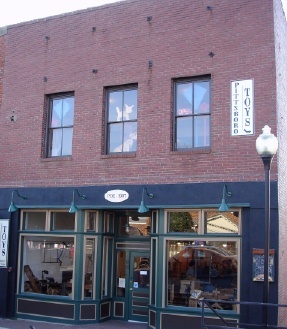 The project included a new storefront, staircases, plumbing, electrical, HVAC and restoration of old windows, interior plaster and wood flooring. Our client, Steve Carr, asked us to take his two storey building and turn it into 4 suites, two on each floor. 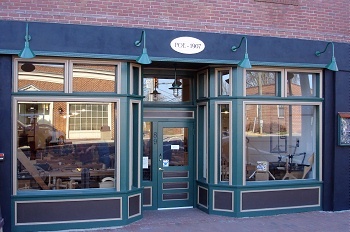 The building is in the Historic District in Pittsboro, NC, and we renovated and restored it to historic standards. 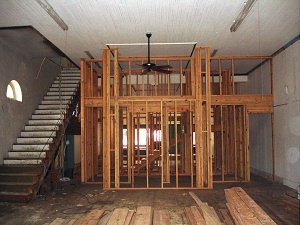 We built walls to create two suites downstairs on the main floor. The building is also in the Primary Fire District so all lumber is fire retardant. Sheetrock is a minimum of 5/8. New staircases were added so each suite would have its own private entrance from Salisbury street access. We were able to utilize the historic Salisbury street entrance that was rumored to have been closed for over 20 years (no historical data to back up this but some of the older folks in the neighborhood reported it was closer to 50 years).